Yesterday was all about Indian wedding traditions, and today, we're all about one good ole Southern tradition that is the bridal portrait session! 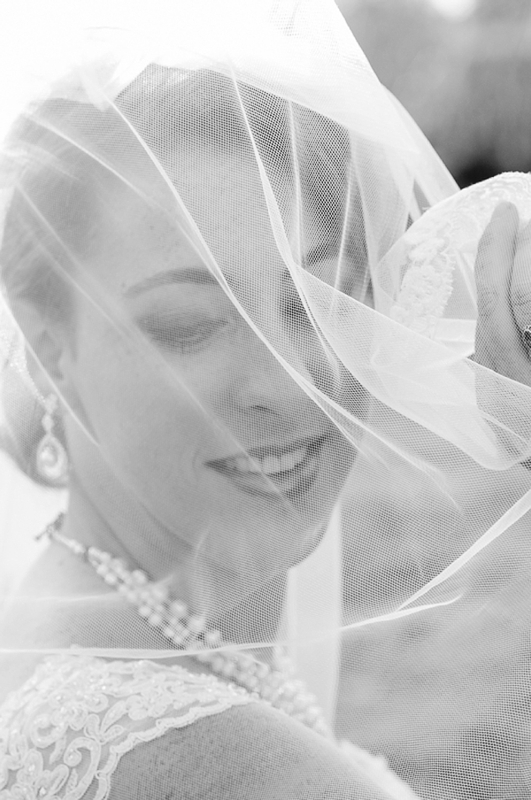 Originally an engagement session that couldn't happen due to her now-husband's move across the country, Kate and her photographer Jennifer of Shine with Jennifer Leigh decided that bridal portraits were the next best thing, and we agree! 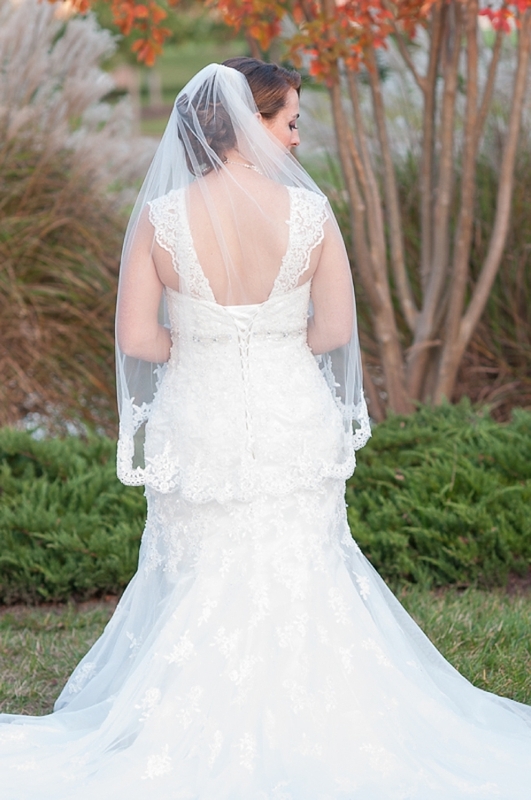 What girl wouldn't love to wear her wedding gown more than once?! 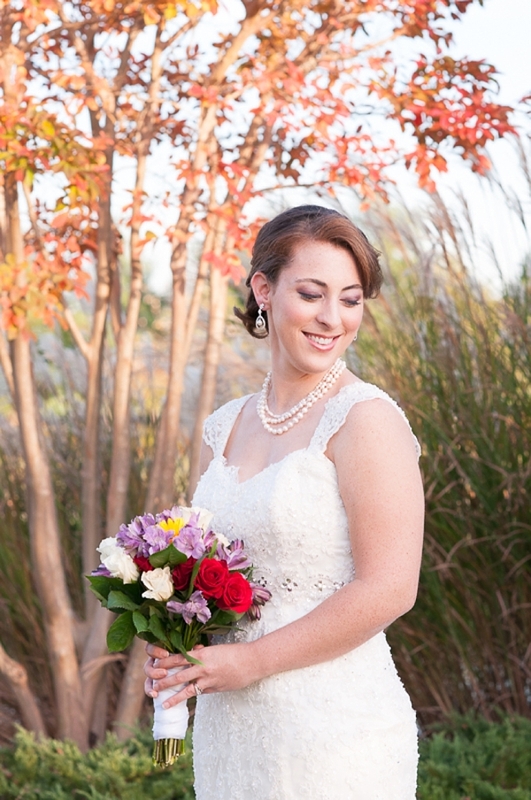 To personalize her gown from The Inspired Bride, Kate customized her dress straps so they could be removed when she wants to change the gown's look and her bridal pearls were also designed specifically to complement her gown's neckline and details. 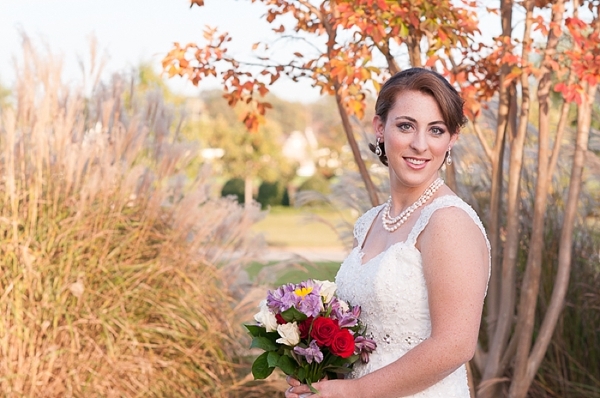 Since her wedding was recently at the beautiful Colonial Heritage Golf Club in Williamsburg, they thought there was no other more perfect place for her very own bridal portraits. 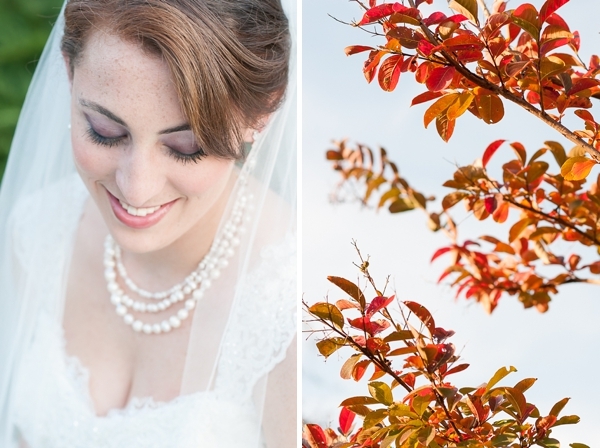 With a dash of fall foliage and cool breeze, these sunset bridal captures are simply perfect this time of year!